Call Today – Shred as Soon as Tomorrow! Protecting your privacy is more important today than ever. It’s vital to shred your confidential documents. Fortunately, we provide quick and easy on-site shredding in Auburndale MA. We’re available five days a week and can help clients with onetime and ongoing document destruction needs. Call today! We know that everyone has questions and specific individual needs. That’s why we walk you through the process of choosing the service that’s right for you. We’ll answer all of your questions and help you pick an option. Then we will give you a very reasonable quote and make an appointment that fits your schedule. We’re available Monday – Friday, so there’s sure to be a time that’s perfect for you. Don’t worry, you don’t have to find a way to get those confidential documents to us. No matter where you are in Auburndale MA, we come to you. We service both residential and business customers, and our trucks can shred 6,000 pounds of paper per hour. This means our on-site service is fast and simple – and you can even watch your files being shredded on a screen that is placed on the side of the truck. One-Time Shredding – As you build your company, maintaining confidentiality is vital. That’s why document shredding is so important. However, not every company produces enough private paperwork to require frequent shredding service. With us, that’s not a problem. Simply call and schedule a one-time service anytime you need it. Scheduled Shredding – If you run a company with a lot of paperwork, you may need to dispose of confidential information regularly. Make it simple by setting up regularly scheduled shredding program. We’ll provide locked containers for free, allowing employees to place your private paperwork in them quickly and easily. We can come and shred your documents on a weekly, biweekly, or monthly schedule. Secure document destruction isn’t just for businesses. Identity theft is on the rise, and your security is just as important as anyone else’s. Our residential shredding service will come to your home to destroy your personal papers at a time that’s convenient for you. Our uniformed employees are easy to identify, and you can watch your documents being destroyed as it happens at your home. Everyone has old computers they don’t use anymore, but even if you erase the hard drive, your personal information is recoverable by motivated thieves. Protect yourself and gain additional peace of mind by choosing our on-site hard drive destruction service. Knowing that your old hard drive is physically destroyed allows you to rest easy knowing no one can gain access to your private data. Having someone show up at your home or business to ask for access to secure information can be unnerving. Fortunately, it’s easy to trust the A1 DATASHRED team. Every employee wears a uniform and has a photo ID. They also sign confidentiality agreements during onboarding and go through rigorous training. You deserve confidence in your shredding service, and you’re sure to get it with A1 DATASHRED! Not every company has the same reputation, and you deserve a shredding team that’s certified as one of the best.  A1 DATASHRED is an AAA certified document destruction company with The National Association of Information Destruction. This certification means that we meet and exceed the strictest standards of privacy and security and are regularly audited to ensure it stays that way. You can trust us to protect your information and destroy it securely. It’s never good to waste our planet’s resources, and recycling is a great way to preserve our environment. We recycle all of our shredded papers, so we have zero impact on the landfills in Town 10. One ton of recycled shredded paper saves 17 trees, so you can feel good about your shredding and recycling efforts. Give us a call to get a quote and schedule your shredding appointment today. We’re happy to serve you!